Familiarity breeds contempt, so the saying goes. That may be true in some areas but not, as far as I’m concerned, in angling. As I embarked on my third week in four pursuing chub, I was as fresh and as keen as I was when I made my first cast for the species a month ago. Although I list perch as my favourite fish, as a genuine all-rounder I love all species, and in many ways my heart is won over by whatever I’m fishing for at that time. 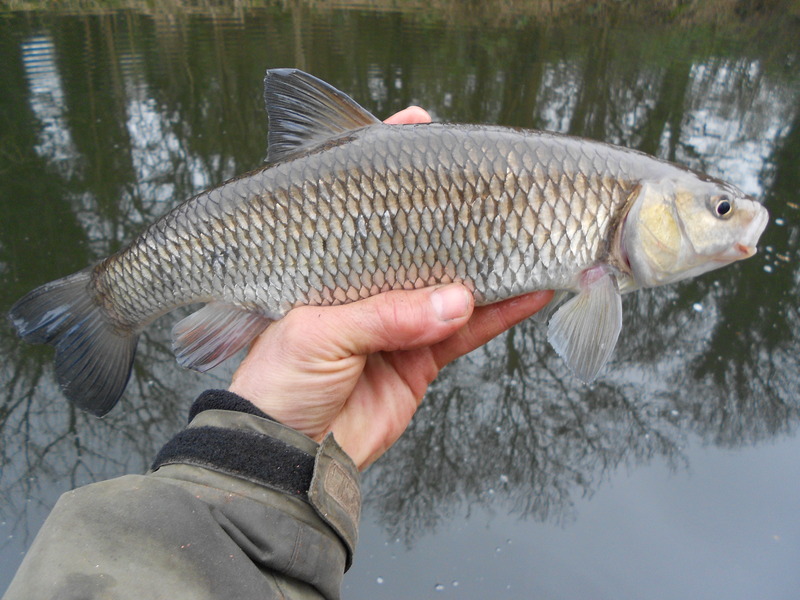 So at the moment my piscatorial love affair is being conducted with the chub. Running the Harris Sportsmail Facebook page, as I do, I even had a Chub Day on there recently! It was a bitterly cold start to the day and I was up while it was still dark, ready for a first-light start on the canal. The thermometer on my car was showing that the air temperature was minus, and the water wasn’t much better. Only the intervention of overnight cloud cover had prevented a freeze on the surface. My tackle and bait approach was the same as recent sessions, so I’m assuming you read my Angling Journal on a regular basis and there’s no need to repeat myself. 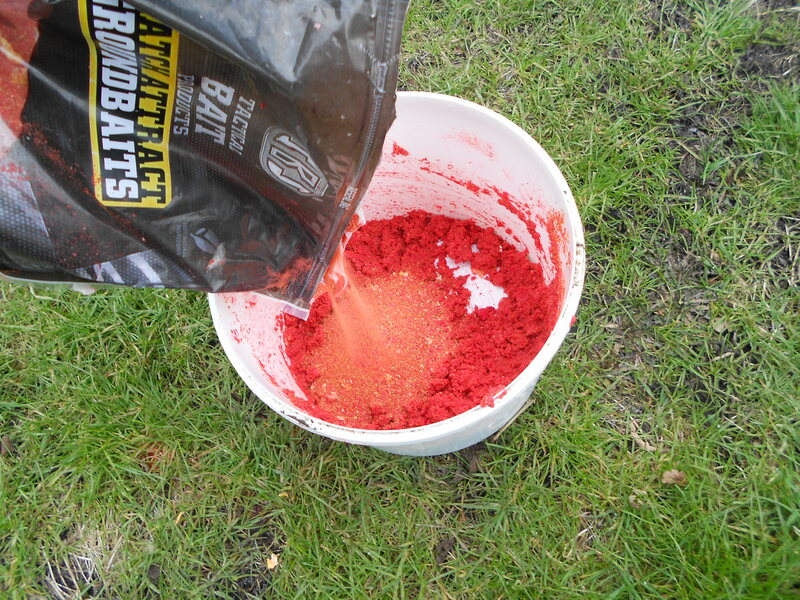 The only change was I mixed some SBS redfish groundbait in with the mashed bread. This was the first time I have used the product but I’m certainly impressed with it. My biggest problem during the 3-hour session was the rod rings icing over, making casting difficult at times. Fishing bread on the hook I had a few taps from smaller fish and one definite chub, that I hit, hooked, netted and returned. 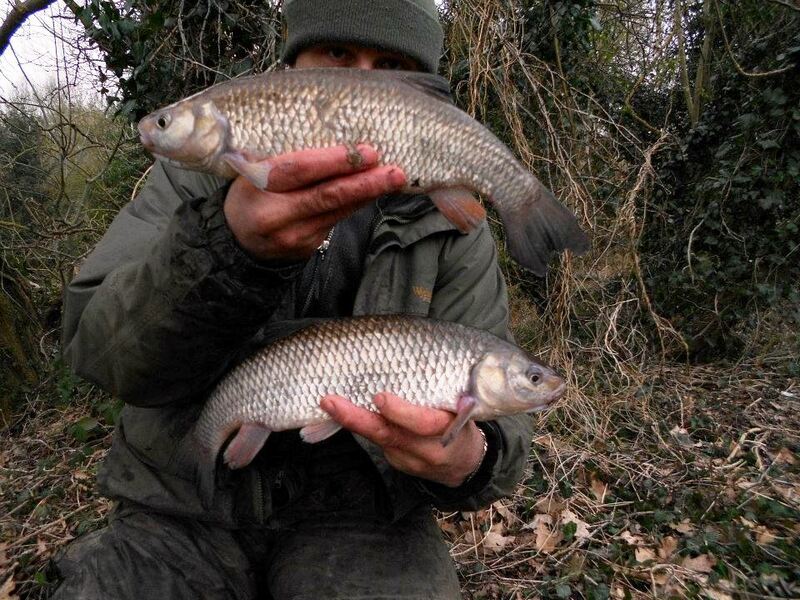 It wasn’t a big one, certainly not hitting the 2lb mark, but very welcome, particularly in the freezing conditions. The next beauty I cradled and posed with wasn’t a fish though but my grand-daughter Nyah! At 6lb 9oz (she was originally given 4oz lighter but this figure appeared on the official sheet) she would make a good chevin weight though! It all started when the phone went at 4.00am and pretty soon after my eldest daughter was in the hospital. Later that day I added grandfather to my list of titles! 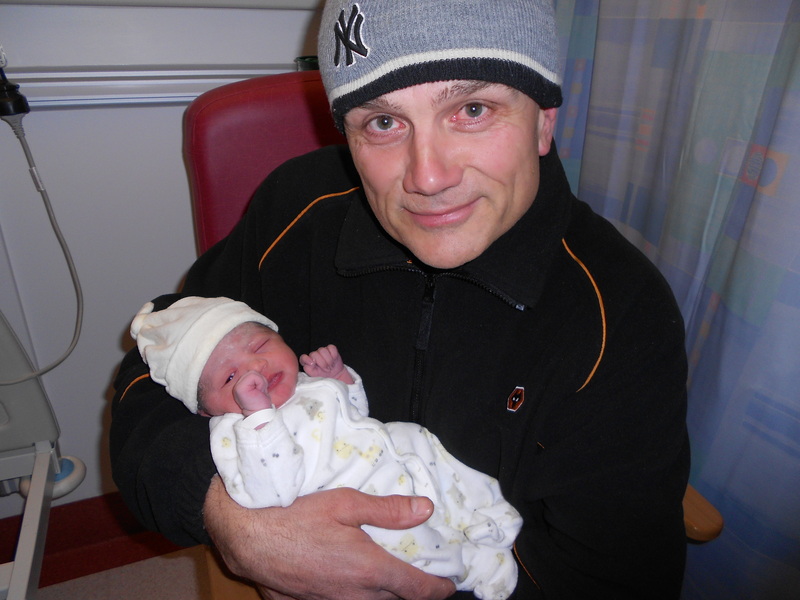 The photograph below was taken when she was just a few hours old. 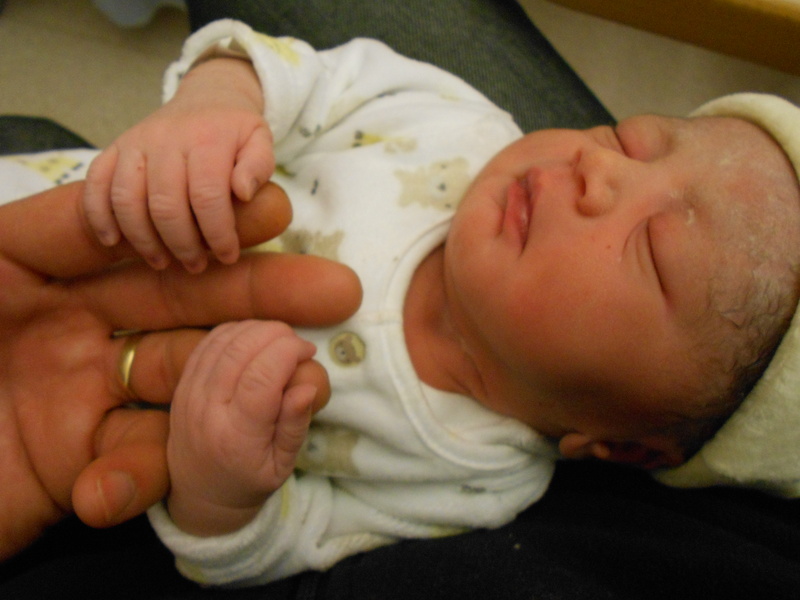 She had an amazing grip and clutched my hand with her tiny, but perfectly formed fingers. I thought to myself, in no time at all she will be firing groundbait catapults 50m into gravel pits after tench. But joking apart, we were just so thankful that she made it. We had a couple of scares along the way including one that we knew in advance for the birth itself. But all went well and neither came to anything. Not that it changed my perspective on life, because it was already where it should be, with everything in its proper place. For example, I might be a fishing fanatic, but I would end it all today if something happened in my family and I had to prioritise my life. With a free morning the day after the birth I once more hit the canal for a short 3-hour crack-of-dawn session. I also had just the one bite and again a single chub made the bank. 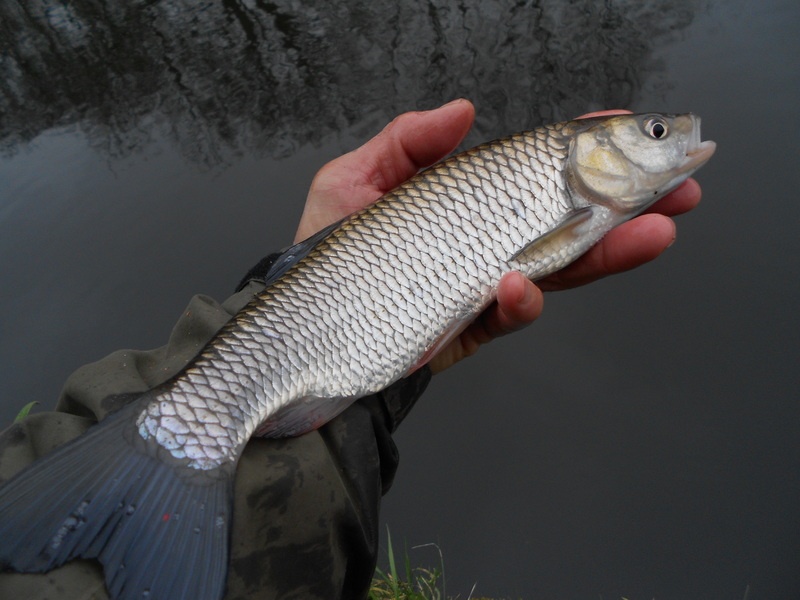 This was much smaller, in fact the smallest I’ve caught on my canal campaign so far. But even a size 4 hook looked tiny in its mouth. Chub have got big gobs and that’s a fact! My third and final outing of the week saw me again on the bank as the darkness swapped places with a new day. With the air temperature 0C it actually felt quite mild compared to the previous visits. And the water temperature had risen a half of a degree and had now broken 4C – if only just. But with the trend upwards I was more than confident. Water temperature is a major factor, but more so than the actual reading is the trend. For example, going for barbel it’s better to have 7C when it’s up in a couple of days from 4C than it is to have 8C when it was 12C the day before. You get the picture. That’s why trend is important. Obviously many of you will be aware of that already. But some may not and that’s why I like to cover stuff like that. On this session I decided to fish a new spot. I’ve had some real crackers from my previous swims, and of course I will return to them, but I also want to explore some fresh water. My approach was the same though – legered bread on a size 4 hook with a small bomb and a shot and Greys top rubber to create a 4” (10cm) hooklength. 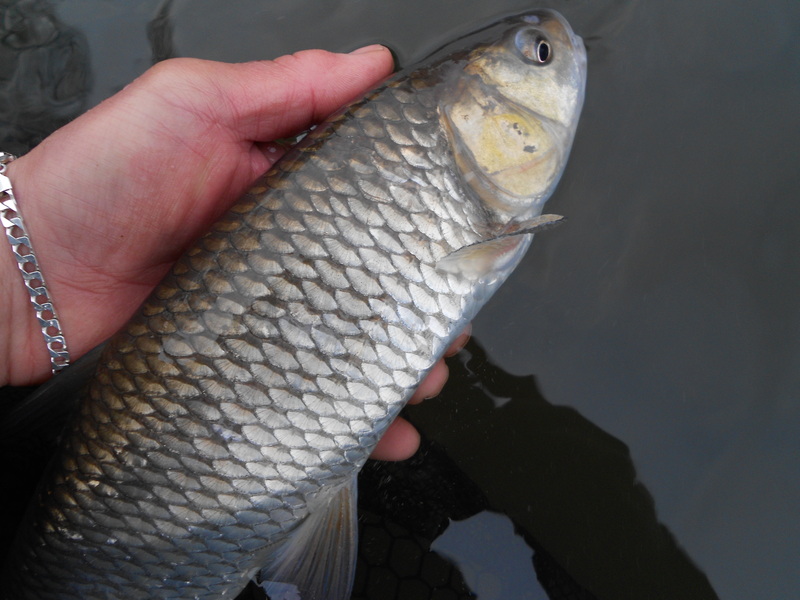 I didn’t have any wrap-rounds like I have been getting of late, from chub thinking they’re barbel, but I had three definite takes that resulted in as many fish on the bank. And with the second one coming while the debut chub was still in the net I was able to get a shot of the brace together. I love two-fish photographs. Obviously you can only do it with certain sized fish, although one of my favourite photos is with me holding a giant carp in each hand. It’s the one currently on my website as the main image and the fish have names – Koi Hodgson and Fabio Carpillow. Yes, none other than the Angler’s Mail mascots!